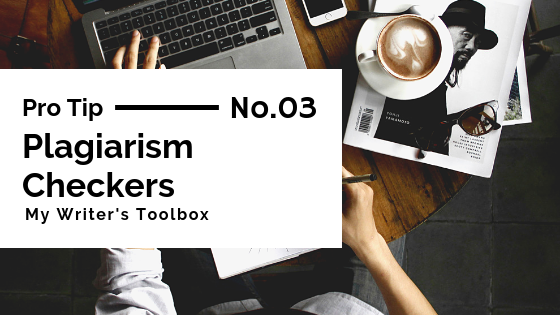 When I started writing the first post in this series about tools I use as a writer, I figured it would be a one-off post that garnered little attention. I had a vague idea for a series like this, but the post was filler content while I figured out where I was going with the blog. I had no idea that a post about the thesauruses I use would become the most popular post on my blog to-date. I didn't know it would spin off into this series. 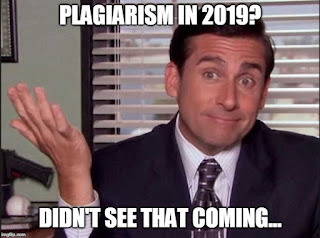 I could never have guessed that there would a post early in the series about plagiarism checkers. Then again, I had no way of knowing that a piece of my own content writing would be plagiarized, or that a massive case of plagiarism like #copypastecris would be exposed. Maybe I'll be able to talk about what happened to me someday, but we're not there yet. In the meantime, I decided to channel my anger and frustration about what happened into something productive - for myself and the writing community at large. First - There are a substantial number of plagiarism checkers on the market. The problem is that nothing on the market now to catch plagiarism like what has occurred with #copypastecris. Honestly, the plagiarism checkers that are free to use online check what is published on the internet. They do not have access to the millions of books that have been published. The good news is that web developer and fantasy author Claire Ryan is working on a web application that can do so. She started working on it because of #copypastecris. You can read about how she got involved on her blog - "Climbing Everest with #copypastecris". Second - I'm departing from the previously established format of this series. I don't use everything on the list below, but the ones I don't are (or have been) used by people I trust. Plagiarism checkers tend to be one of those things that people only use one of at a time, amIright? That said - here is my list of go-to and recommended plagiarism checkers. No plagiarism check is going to be perfect, but Dupli Checker is my personal favorite. It's my go-to for my content writing projects. You can copy and paste the text you want to check (up to 1000 words) or upload a file to run it through. The results will tell you how many words are similar, the percentage of words that are similar. Dupli Checker also gives you the link(s) to the page(s) where they found the text. On the results page, you also have the option to compare the text and see the page for yourself. There are no words to describe how much I love this feature, or how helpful it can be. 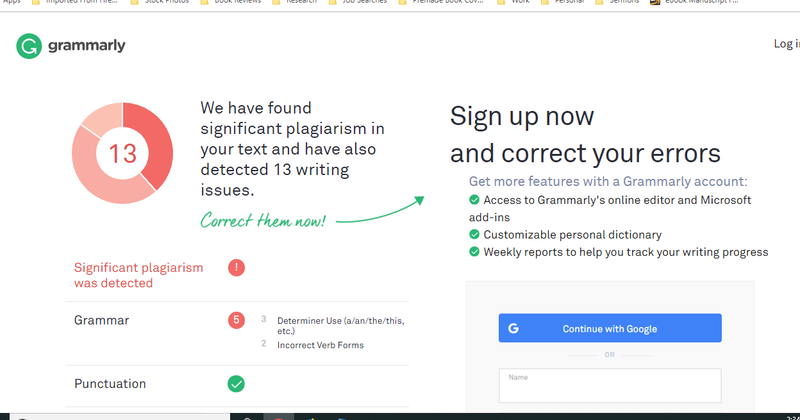 I don't use Grammarly (as a grammar or plagiarism checker), but I know some writers who do and are happy with it. To use the checker, though, you have to sign up for an account. You'll also have to pay for a subscription to unlock the features it offers. 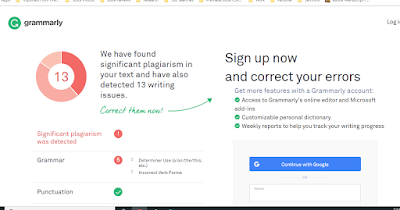 Read the Grammar Gang's review to see how it works and what they think of it - "The In-Depth Grammarly Plagiarism Checker Review". I know, I know, TurnItIn targets the education system. I wanted to include a checker for students and educators on this list, though. Students are often assigned papers to write, after all. TurnItIn has been around since the mid-late 1990s and has a massive (and growing) content database. The database includes hundreds of millions of student papers, thousands of published works, and billions of web pages. It checks for similar phrases and sentences as well as proper citations within the piece submitted. You can thank my younger sister for this recommendation for the list. Why? Well... when she went back to school, the university she attended used this software. I couldn't tell you many times she thought an assignment was finished, only to give it a preliminary run-through and see it catch things she missed. Sometimes it was nit-picky, and the amount of moaning and complaining... well, you can imagine. As annoying as that scenario is, I personally would rather use software that seems to catch too much than one that does not catch enough. 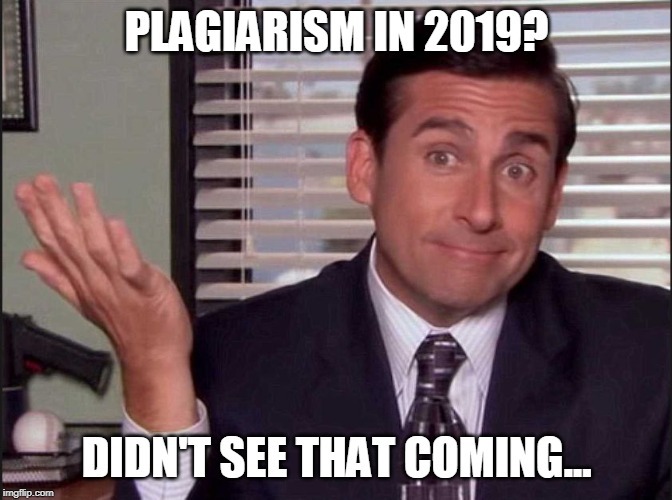 I know there are many plagiarism checkers out there. Which one do you use the most often? Let me know in the comments.